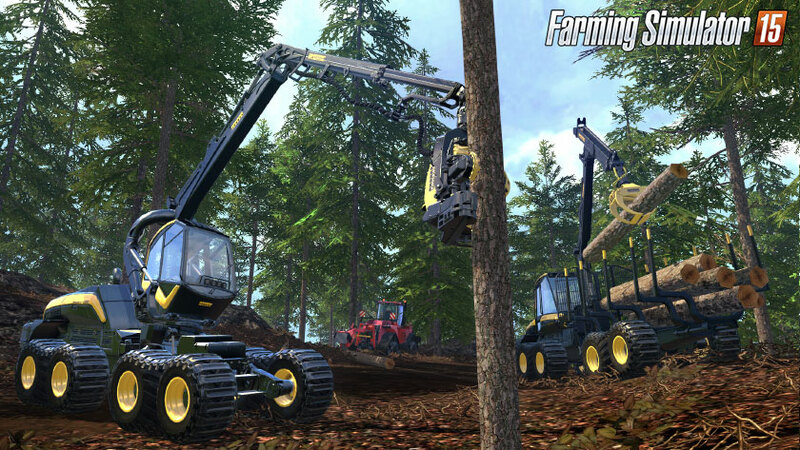 Farming Simulator is exactly what you would expect it to be. 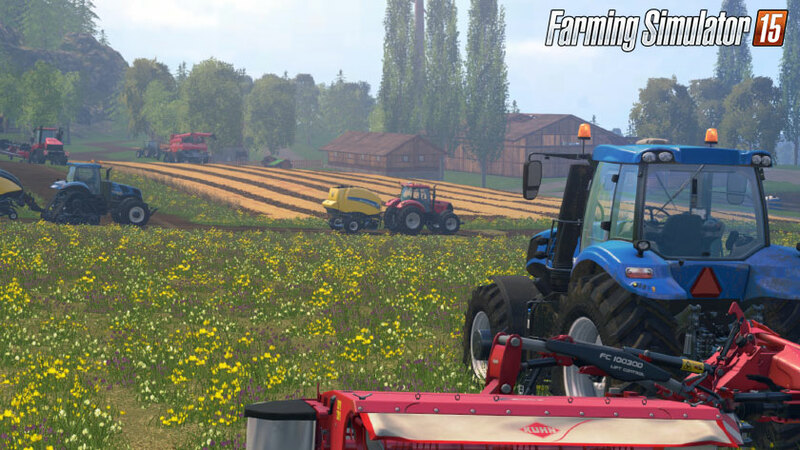 You take on the role of a farmer and you mission is basically to make money. What do you do with the money? Well, you invest back into your farms to make even more! It's one of those game's that is so simple it is strangely addictive. How do you make money I hear you cry? It's simple, you farm! That's not just limited to crops in your fields either. 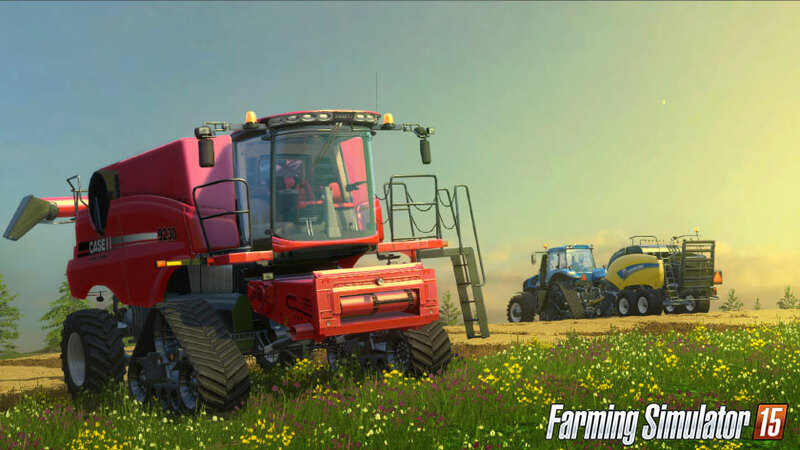 While crops are probably the easiest way to make money, you need something to do while you wait for them to grow to be able to harvest! Your other options include building animal farms where you can buy cows, sheep, and chickens, and produce milk, wool, and eggs to sell to local merchants, Buying a chainsaw and taking to the forests for wood to sell is an option available to you as well. There are also jobs available via the Job Board that can have you farming a specific type of produce for an increased sale amount or simply mowing someone's lawn for them. There really is a lot of variety within this simplistic looking game. Once you get into the routine of the jobs you are doing you can upgrade your equipment to do it more efficiently. You can also buy more fields so that you can grow more at the same time, thus making money quicker. You see the pattern? It's all about the money! It might sound incredibly boring but it really is a game you have to try and see for yourself how addictive it can get! If you like other management games such as Viva Pinata or Harvest Moon then you should feel right at home here and lose many hours to it. However it is a really niche genre and most won't enjoy it at all and find it simply mundane. Personally I got lost in it for the time I was playing and while it seemed incredibly boring I found that I was unable to tear myself away. Graphically the game doesn't stand out. They aren't bad, but they are far from good and considering the power under the hood of these consoles they could have made more effort to make it look more realistic. However considering the audience the game is aimed at, it is understandable that they didn't pump a whole lot of money into it. On the up side, though, it is very colourful and it is nice enough to look out while you lose yourself in the world of farming. The trophies in the game are actually fairly intensive. Tasking you with sewing and harvesting 100 hectares of land and completing 50 jobs. This is just the tip of the iceberg too, completionists will have a lot of time to sink into this in order to obtain the platinum. However this type of game is the perfect for the concept of trophies (and achievements) because they give you more objectives to fulfil than just earning money! What I Played: Just over 5 hours getting lost in the game and amassing a huge amount of debt. I then attempted to pay it all back by farming wheat, chopping down trees, building greenhouses, and farming animals.